The Microsoft Certified Solution Expert (MCSE) certifications focus on the latest technologies for business applications, cloud infrastructures, data management and analytics, mobility and productivity. It enables IT professionals acquire skills to design, create and manage technology solutions using today’s leading Microsoft products. A Microsoft Certified Solution Expert has a deep knowledge of Microsoft platforms and how they interact with each other. This means a MCSE can take a business problem, conceptualize an innovative solution and build it, making him or her a valuable asset to the organization. 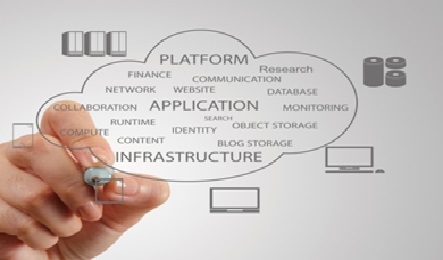 The expertise can manage IT solutions both on-site and in the cloud. This demonstrates the expertise to run a modern data center, with skills in systems and identity management, server virtualization, data storage and networking. Popular career paths for certification holders include technical support specialist (often with a platform focus such as SQL Server, Skype for Business or Exchange Server) and cyber security analyst. Validates the skills to deploy, configure and/or manage a windows desktop environment and cloud-enabled devices, with advanced skills in data security and compliance, PC and application virtualization, and Remote Desktop Services (RDS). Popular career paths include desktop support technician and mobile device support specialist. This demonstrates your ability to manage cutting-edge cloud computing setups using Windows Server and System Center. Popular career paths include server/systems administrator, network administrator and computer systems programmer. Validates the expertise to design, create and optimize business intelligence solutions – using Microsoft SQL Server – which your company can use to make smarter business decisions. Popular career paths include database administrator, business intelligence analyst and data scientist. . Database design, creation and maintenance are particularly important to organizations today, considering that data storage is key to most business computing, and nearly every website is supported by one or more databases running in the background. A database administrator is in charge of all kinds of database-related functions, from development, to storage and retrieval, troubleshooting and security. Today’s IT solutions require multiple technologies to solve a business problem. A Microsoft Certified Solution Experts acquires technical knowledge in not just one but across an array of technologies, in on-premises, private cloud, public cloud, and hybrid environments. Good morning Jeffery, the course fee for MCSE is ₦158,000 which covers for your Tuition, ID card, Books and Certificate.The duration for this course is 6 months. We are currently running a promo i.e 10% discount on any of our courses you intend going for which ends on December 8 and this fee cant be paid installmentally. You can send your number or call 0903-784-5681, 0807-595-2272 for more info.